After 103 wins in four years, fans might believe that a basketball program is doing something right. 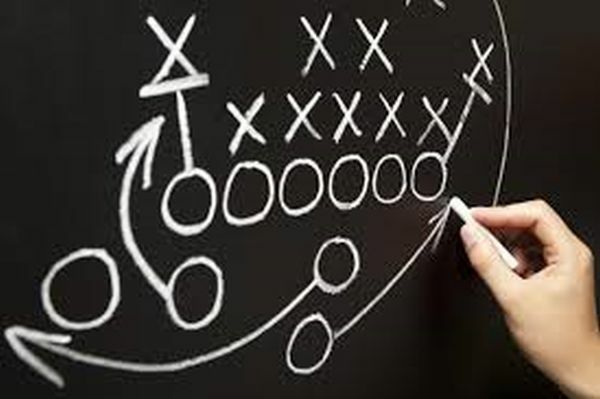 As a coach, I have analyzed practice plans, coaching styles and talent levels. My conclusion is that what really matters is effort. Every coach will tell you that his kids work hard, but our aim at Dadeville is to practice with a sense of urgency everyday—the same sense of urgency the game is played with when a team finds itself down four points with two minutes left in the fourth quarter of a big game. That urgency felt by the team drives the players to do some pretty special things. At Dadeville, we try to follow three basic rules as a coaching staff. First and foremost, we present clear expectations to the team. The expectations of the offseason program, the preseason program and the regular season program all teach the players that they are expected to “leave it all on the floor.” “Urgency” is preached to the players from the start. In addition, we demand high standards. The players are asked to do things right, and IF a mistake is made, it better be made while hustling. If a player cuts a corner or gives the impression that he is loafing, we use the baseline as a reminder of our high expectations. Nothing less is accepted. Finally, as coaches, it is important that we are consistent with this approach in our coaching style. This demands a lot of the staff. Enthusiasm is required without the luxury of letting down even for a few minutes. However, the benefits are nice. A program that achieves this high level of intensity will not only be fun to coach, but fun to watch. It will ultimately breed a tradition of great success. Several underlying characteristics are necessary in helping to develop the internal motivation to play at such a high level of intensity. It all begins with enthusiasm. The coaches must be enthusiastic. The team must be enthusiastic. For example, if an athlete takes a charge, the entire team is taught to stand and cheer, both in practice and in games. If an athlete dives on the floor for a loose ball or gets a back tip, again, the entire team stands and cheers accordingly. It is rewarding after players fight for a rebound or a loose ball, to stop practice for a few minutes in order to check out a player who is a little bloodied up. This shows the player’s desire to work hard and earns him the coveted ovation by the rest of the team. Although this may not appeal to the “politically correct” crowd, the players respond well to it and develop a sense of toughness. In conclusion, clear distinctions are made to our team between hard work, exceptional effort and a satisfaction with mediocrity. It is this approach that motivates me and my coaching staff. As I become more experienced and progress further into my coaching career, I hope to find new ways to motivate players to develop that internal motivation to be exceptional and foster their appreciation for working extremely hard. Not only will this benefit them on the court, but in the greater game of “life” as well. Originally published in the December 2011 issue of Ozark Preps Illustrated.